Trusted Freight Brokerage | The Match Maker, Inc.
Our trusted TIA-Certified Brokerage has helped over 35,000 shippers and carriers move their freight. Founded in 1981, The Match Maker has helped match shippers and carriers for over 30 years. In that time span we have helped over 35,000 shippers and carriers move their freight and we don’t plan on slowing down any time soon. We have built a sterling industry reputation by offering carriers attractive rates while maintaining reasonable rates for shippers—a perfect balance. 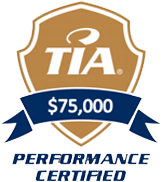 The Match Maker is a TIA-certified transportation broker with outstanding credit scores with all accredited reporting agencies. Ready to start moving freight? Become a qualified carrier for our company. Loads delivered on time and at the right price. Become an MHMK shipper! Are you a qualified agent or broker? Learn more about our career opportunities. For your convenience, we offer a comprehensive suite of services to accommodate your company’s needs and goals so that you can spend more time focusing on what is most important to you — running your business. Affordable personal and commercial insurance for truckers. Learn more about Truck Insurance Inc.
Transportation factoring made easy-- up to 95% advance. Learn more about Match Factors. Transportation licensing and permitting for motor carriers.